"Why is MIDI timing on a Mac so bad?" 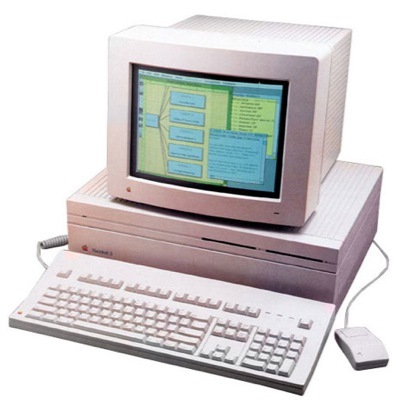 The Macintosh has been around almost as long as MIDI itself and has long been the computer of choice by the majority of music industry professionals. Why then is timing accuracy that leaves a lot to be desired tolerated? Firstly, there is not much choice, whatever criticism can be levelled against the Mac other platforms are worse - far worse! Secondly, until recently there was nothing much that could be done about it. The original Macintosh only had two serial ports and only ran one application at a time. Although it had an advanced USART, the Zilog Z8530 SCC, it was incapable of being set to the correct baud rate for MIDI use so an external clock had to be supplied. The SCC was also the poor relation in terms of interrupting the CPU and there were some strange tricks to keep it working during disk accesses. As the Macintosh design advanced the serial communications capability did not improve correspondingly and even got worse. With the introduction of System 7 ((May 1991)) when multitasking was no longer optional and the increase in demand in serial communications for the Internet, the Printer and Modem ports became oversubscribed. To meet the demand for more and more MIDI ports the "Multiport Interface" evolved, but this brought a whole new range of problems. All data passing through them was delayed (twice if coming in and then out) and a bottleneck was created between the interface and the serial port. The larger the system and the more MIDI traffic the worse the performance. To make matters worse the SerialDMA bugs were especially bad for high data rates (when used in combination with) Xon/Xoff (hardware) handshaking which is just what the Multiport Interfaces require. This eventually led to to all sorts of myths like "MIDI can only work on one port on a Power Mac". On early (<100MHz) Power Macintosh (ppc) models much of the serial support was still 68k code run under emulation so it was actually running slower than on the models it superceded. Even on later Power Macintosh models, and even with OS 8.5 which is "95% native", the Device Manager serial support is still 68k code. Every time the PPC switches between 68k code and native code up to 50 microseconds is wasted (depending on model and OS version) and this may happen several times for every MIDI byte transmitted and received. This can seriously limit the CPU bandwidth available for other important tasks like audio processing. Although modern computers are very good at processing large amounts of data at high rates; they only do so on their own terms. They can handshake and retry when an error occurs and normally the user is unaware that this is even happening. However they are still poor at handling single events where there is no chance of a second try which is exactly what MIDI requires. Apple's bombshell this year has been to throw away asynchronous serial communications altogether and to tell everybody to use USB while they had not yet been able to supply an USB Driver with a granularity of better than 4ms - which although adequate for computer devices is of no use for MIDI. A new driver was promised for "Spring" which has been further delayed now until "Summer" and even if the granularity is improved to the theoretical minimum of 1ms it is doubtful if this will be enough for serious MIDI usage, especially if timecode synchronisation is required as well. The solution has always been obvious - get more ports directly onto the main CPU bus, get rid of software routing devices and try to get a Note On from one place to another within 1 millisecond as originally intended. "Why is MIDI timing on a Mac so good?" Macintosh II 16 MHz 68020 x6 nubus slots ********** perfect! Macintosh IIx 16 Mhz 68030 x6 nubus slots ********** perfect! Macintosh IIcx 16 MHz 68030 3x nubus slots ********** perfect! Macintosh IIvi 16 MHz 68030 3x nubus slots ********** perfect! Macintosh IIci 25 MHz 68030 3x nubus slots ********** perfect! Macintosh IIvx 32 MHz 68030 3x nubus slots ********** perfect! Macintosh Performa 600 (CD) 32 MHz 68030 3x nubus slots ********** perfect!